Multifunctional fitness poles use built-in suspension and resistance to create a workout that targets the entire body. Upper body work is great! It’s not as high impact as other forms of exercise, and that’s exactly what makes walking such a healthy way to stay fit. Now, walking can do even more than strengthen your lower body. BungyPump fitness poles transform a walk or hike into a total body workout that activates 90% of your muscles and burns up to 77% more calories compared to normal walking. 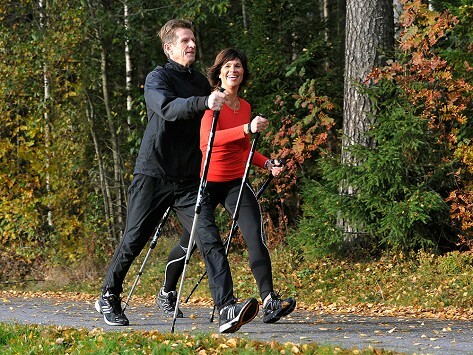 Unlike rigid walking sticks, BungyPump features built-in suspension and provides smooth and steady resistance every time the poles are pressed down, no jarring or straining. The amount of resistance varies by model, ranging from 8 pounds for recreational walkers to 13 pounds for more active lifestyles. Whichever BungyPump model you choose, the pole height is adjustable. BungyPump originated in Sweden as an off-season training tool for cross-country skiers. 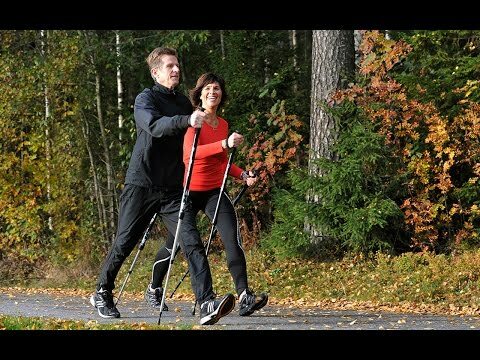 But, given its ease of use, we’re not surprised it has become a favorite form of exercise among Nordic people from all walks of life. Physical therapists have even been known to recommend BungyPump for those recovering from injuries and back problems. These poles are made for strengthening not only your legs, but your core and arms as well.